Changing lifestyles, irregular diets and chain-smoking have made heart diseases knock at the doors of our peers, friends, neighbours and sometimes even that young nephew. According to a study published in the Indian Journal of Medical Research (IJMR) this month, cardiovascular diseases (CVD) are projected to be the main cause of disability and mortality by 2020. It is predicted that 2.6 million Indians will die due to coronary heart disease; this would be 54% of all CVD deaths. Coronary heart disease is a condition characterized by the build-up of plaque in the coronary arteries; any disorder related to the heart and blood vessels, including coronary heart disease (heart attacks), is part of CVD. The reason for the high rate of CVDs in our urban population is not related only to genetics, though Asians are predisposed to weaker hearts than their European counterparts. The culprit is changed lifestyles and the fact that Indians don’t get regular check- ups. In fact, on World Heart Day (Sunday) Max Healthcare released a survey encompassing inputs from 1,000 employees from organizations such as GE India, JK Tyres, L&T, Eveready, Wipro and Hughes Systique, indicating that 76% of the employees of these companies have never had a cardiac check-up and 38% were simply not aware how a healthier lifestyle would affect their heart. In the following case studies, we talk to three men in their 20s-40s who had to unexpectedly deal with heart-related illnesses. They are now back to their normal lives, wiser, healthier, fitter and more attuned to their hearts, but these stories tell you why even the smallest signal should ring alarm bells and how you can manage your heart better. Past life: It was mostly peer pressure that prompted B.V. Preran, 27, a businessman in Doballapur, a small town near Bangalore, to experiment with drugs, cigarettes and alcohol since his school days. He joined his father’s business in 2001, and to beat work stress, he started smoking and drinking excessively. “I was smoking 10-15 cigarettes a day, mostly spiked with ganja (marijuana)." On 10 July, he was out partying with friends when Preran felt shooting pain in his chest, neck and left forearm. His friends rushed him to a general physician, who assumed that since Preran was only 27 his problem was gastritis-related; he gave him medication for that. When the pain didn’t subside, Preran’s mother took him to Fortis Hospital in Bangalore and the doctor on duty, on a hunch, sent him for an ECG. The result showed that his left ventricle was blocked and he was having a heart attack. He had an angioplasty that morning. Turnaround mantra: Just under three months later, Preran is a changed man. He has given up smoking and drugs completely. He walks an hour daily. Apart from regular check-ups, he has adopted a diet plan that includes more vegetables, pulses and white meat. He has stopped eating out and sticks to home-cooked food, cooked in very little oil. He has also become an evangelist for “No Smoking". Doctor’s verdict: “When a patient as young as Preran complains of a burning sensation around the chest area, doctors tend to diagnose it as acidity. Thankfully for him, the doctor on duty suggested an ECG because he realized that Preran was a chain smoker," says Dr Keshava R., who did the angioplasty. According to Dr Keshava, common reasons for a heart attack in the early 20s are excessive smoking or genetic predisposition. “In your early 20s, the body is too young to suffer because of a cholesterol build-up. Smoking, however, is damaging, whether it is one cigarette or 15," he says. He stresses that all patients should quit smoking 100%. “If a heart attack doesn’t induce them to quit smoking in the first two weeks after an operation, nothing will." Stick to a vegetarian diet, avoid all red meats and exercise for at least 150 minutes per week. “Brisk walk is the cheapest and the best," he adds. Past life: Soumit Kumar, 41, senior manager projects, Steel Authority of India Limited (SAIL), Kolkata, woke up at 4.30am on 29 May with what he believed was another attack of his old complaint, acidity. A neighbourhood clinic treated him for indigestion but the severe burning in the lower chest and upper stomach continued. Fortunately, Kumar went to work, where he consulted the medical officer. The rest is straight out of a medical thriller. “He was lucky since I saw him about 8 hours from the time the pain started," says T.K. Paharaj, director, Cardiac Catherisation Laboratory, and senior consultant cardiologist, BM Birla Heart Research Centre, Kolkata. Dr Paharaj found a major block in Kumar’s main artery, which was removed. Two stents were fitted and immediate relief and improvement in the heart showed on the monitor. Initially Kumar could not believe he had a heart problem. Now he knows that in all probability eight years earlier and once after that, the severe acidity attacks he suffered were actually heart attacks. Turnaround mantra: Kumar, a smoker for 25 years and on one-and-a-half to two packets of cigarettes a day for the last 10 of those years, now takes his doctor’s advice seriously. “I last smoked on 29 May." On advice from his doctor, his meals now include more vegetables and fruits. He makes sure he has regular check-ups and does not stay overtime at work. Doctor’s verdict: “Indians, because of genetic causes and lifestyle, are prone to early coronary artery disease," says Dr Paharaj. His advice? Try keeping regular hours, exercise and eat smart. As Dr Paharaj points out, “If you can take your car for servicing, why can’t we get ourselves checked regularly by a doctor? You may think you are fine, but let the doctor endorse that." Past life: Nima Namchu, 40, started smoking when he was 15. In a little over 10 years, he was smoking 30-40 cigarettes a day. Like thousands of young urban Indians, he ate more cholesterol-rich food than he ought to have. His plate often held red meat and butter. The healthy boy who grew up in the hills of Kalimpong, walking miles uphill and down every week, got sucked into a stressful, sedentary urban life. Weighing 80kg at 5ft 6 inches when he should have tipped the scales at around 65 kg, Nima, who has 18 years in advertising, was aware he had to be careful, and even went for executive medical checks every year. “I had tried everything from changing my diet to making my life less sedentary but I did not quit smoking," he recalls. One day in December, in the middle of a presentation, he collapsed. He was rushed to hospital when he complained of acute chest pain and breathlessness. An ECG showed acute myocardial infarction. A quick angiography showed the killer blockages. Within hours, he underwent angioplasty that gave him “a second life." Turnaround mantras: Namchu had known all along that he was toying with trouble. But what his head couldn’t do, his heart did. He has not smoked a cigarette since his angioplasty. “I feel cleaner, healthier and a lot less stupid." Nor has he touched beer or other alcohol such as whisky, etc. Now on advice from his doctor, his food is cooked in just three teaspoons of oil a day, he does not eat red meat and his plate is often laden with fruit, vegetables and salads. On rare occasions, he sips red wine. Work is still important but he manages his schedule better. “I try to get at least 8 hours of sleep," he says. He walks for at least 45 minutes a day. He pounds the treadmill if the weather is inclement or takes the eight flights of stairs to his apartment about once every two days. The result? In less than nine months, he has lost 9kg. Doctor’s verdict: Recalls Kushagra Katariya, CEO and chief cardiothoracic surgeon at Artemis Health Institute, Gurgaon, where Namchu was treated: “Nima was hypertensive and a chain smoker. Even people who have an active past and are from traditionally hardy communities can suffer heart problems if the lifestyle isn’t heart-healthy." Looking specifically at Namchu’s case, Dr Katariya says one should not be complacent even if there is no family history of heart problems since more immediate factors, such as the sleep-wake routine (less than 7 hours of sleep can harm the heart), smoking, diet and a sedentary lifestyle can damage the heart. Did your heart skip a beat? Market research professional P Srinivas, 34, is in the intensive-care unit of Smt. S.R. Mehta and Sir K. P. Cardiac Institute, Mumbai. He’s been there since 11 August, under the care of Dr Amit Vora, after he suddenly complained of palpitation, uneasiness and giddiness. “His cardiogram showed life-threatening arrhythmia. A tuberculosis attack on his heart muscle left it with an inflammatory disorder, and, a broader, weak heart. If not attended to promptly, it can turn fatal," explains Dr Rima, Intensivist. 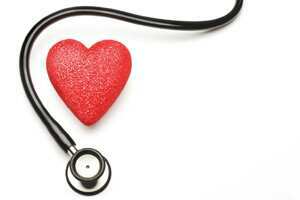 Till recently, abnormal heart rhythm or arrhythmia didn’t furrow the brows of cardiologists. Now, attention has swung to atrial fibrillation (AF), a condition which causes arrhythmia. AF indicates an underlying heart condition and is certainly not a benign form of cardiac arrhythmia. Cardiologists now point out that AF increases the risk for stroke nearly five-fold and cause about 15 per cent of all strokes besides causing more heart attacks that can be fatal. Cardiologists, awaiting data from two studies underway, fear that it is on the rise in India. Arrhythmia, often characterized by unexplained rapid palpitations even when at rest, breathlessness, fatigue or dizziness, can occur at any age although it is common in people over 60. Dr Mohan Nair, Chief of Cardiology, Max Super Speciality Hospital, Delhi says AR can be detected from simple examination of the pulse to ECG, ambulatory ECG (Holter) and Electrophysiology Studies (EPS). “However," observes Dr Amit Vora MD, DM Senior Consultant Cardiologist and Electro physiologist Member of Arrhythmia Associates, Mumbai, most cases ARE DIAGNOSED BETWEEN 30 and 50 years. Indians are at a disadvantage because many OF THEM suffer rheumatic fever that leads to valvular heart disease and atrial fibrillation. “These patients have an early onset of AF and the median age is in the 30s. Men are slightly more prone to develop AF," warns Dr Vora. Atrial Fibrillation, which is not related to valve disease, increases with age while Valvular Atrial Fibrillation, caused by rheumatic fever, is a disease of young adults. In most cases, the cause of AF remains unknown but the usual triggers include hypertension, diabetes, coronary artery disease and valve disease. An arrhythmic heart can be mended. “In some, radiofrequency ablation can cure the problem permanently, Others require life-long medication," says Dr Vora. Dr. Mohan Nair, Chief of Cardiology, Director Electrophysiology & Arrhythmia Services, Max Super Speciality Hospital, says, “Atrial fibrillation that occurs secondary to other heart ailments, particularly valve disesae, can be prevented by timely treatment of the valve disease. Ageing-related atrial fibrillation may be prevented by controlling of blood pressure and some cholesterol-lowering agents." What does the doctor advise? Early intervention. “The longer a patient’s heart is out of rhythm, the harder it is to get it back in rhythm." Since, Srinavas did not respond much to medication so an AICD machine was implanted. He even required ablation to cauterize and correct the abnormal electrical pathways. Looking forward to walking out of the hospital next week, his was a challenge Dr Rima calls, “a very rewarding case for the hospital." He has also been treated for tuberculosis.